What party heels to wear for your foot type and stay comfortable all night. 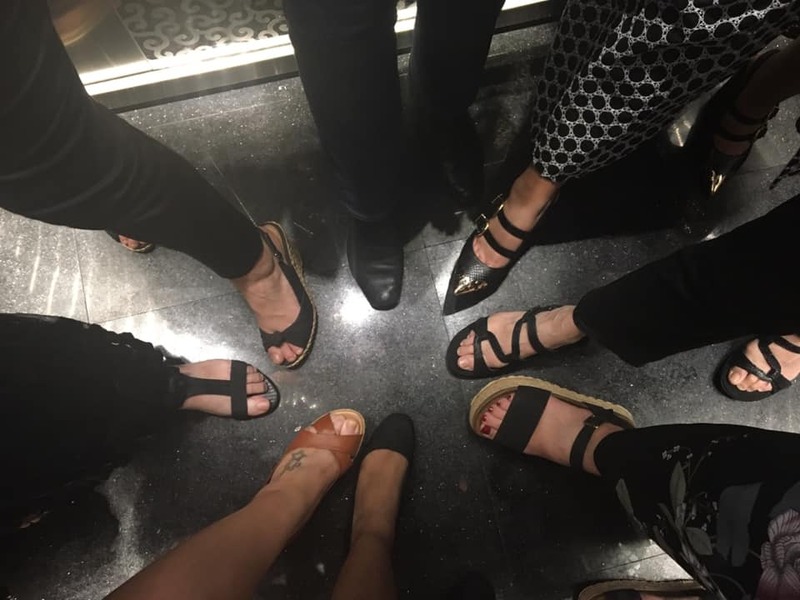 With the party season in full swing, chances are you’ve enjoyed a few nights out on the tiles recently and have been left with aching feet after squeezing into those glamorous sandals. High heels are an important addition to most women’s wardrobes but there is a right and a wrong way to wear them. Get it wrong and you can end up with blisters, corn’s bunions, broken or sprained ankles, painful aching feet and a limp the next day that is not at all glamorous. There are 3 elements to how you walk in heels. The first is heel strike when your foot first hits the ground. The second is the mid-stance when all of your bodyweight is over the middle of your foot and the third is toe off- when your push against the ground with your toes to lift you foot off the ground. 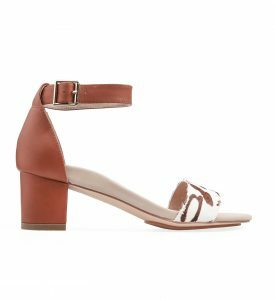 So there are three key elements to a heel that influence the three elements of walking, these are the shape of the shoe, the heel height and type of heel. 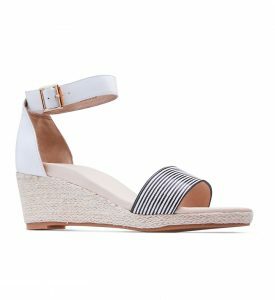 To help you out we have looked at some of the common foot problems and how to choose the best shoe to still look your best but not cripple yourself in the process. Bunions: When your big or little toe have turned in. Best shoe: The shoe with a round toe and sturdy heel. Heel type is also important with this problem as a narrow, stiletto type heel significantly changes the way you walk. You are unable to walk in the correct “heel to toe” but instead effectually are “teetering on tip toe”. This puts maximum force through the big toe and bunion. The higher and narrower the heel, the more the weight of the body is forced forward onto the front of the foot; this will cause more pressure and therefore more pain on the front of the foot. Big toe arthritis: Or pain in and stiffness in the joint of the big toe. Best Shoe: Platform with thick heel. If you have had persistent pain or discomfort in your big toe joint chances are you have worn away some of the cartilage in this joint. When this happens the body replaces that cartilage with bone which increases the stiffness of the joint. This limits the push off motion of the foot. A rounder toe with a wider fit will help. Try to get a softer, material and think about how the edges of the shoe meets the foot. It is better to have nothing covering the joint, or the joint to be completely covered rather than having a stiff or ridge seam over the joint. A stiff soled shoe stops movement of the big toe and therefore reduces the pain. 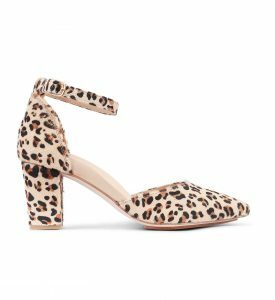 A platform heel can help, particularly one that has a curved sole like the bottom of a rocking chair, as this can creates the push of movement instead of that being generated through the big toe. Anything that forces the weight of the body forward onto the toe will increase the pain. A thicker lower heel is better to distribute the weight of the body evenly across the foot. Ball of the foot pain (metatarsalgia) toe problems (hammer toes, claw toes) nerve pain ( Morton’s neuroma), swelling of the capsule of the foot ( bursitis) – all these conditions are exacerbated by squeezing your forefoot in to a tight space. When you transition through the second and third elements of walking, mid-stance and toe off, the front of your foot actually spreads to create a greater area to distribute the force of your body weight. Women’s shoes tend to be made on a narrow last, or shoe template. If you pick a toe type that is also narrow e.g. a pointed type toe, this means that your foot cannot spread out naturally as you walk. This results in the toes getting rubbed or pinched. More pressure in the long bones of the forefoot.. This causes pain and swelling of the soft tissue (bursitis) It can also lead to irritation of the nerves between the small toes of the foot. Morton’s Neuroma can feel as if you have a pebble or stone in your shoe. A rounder wider fit shoe with defiantly help. A softer material or open toe will help relieve pressure and therefore rubbing on the top of the toes. A cushioned sole will be much more comfortable. A thin leather sole will be a lot more painful. 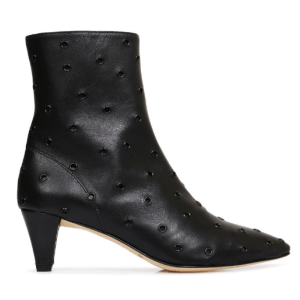 If you have a rocker sole (most platforms do) this will be easier. So a lower wider heel or wedge with a more open or softer front and cushioning or a rocker under the ball of the foot is the way to go. Best shoe: More rigid in the material of the shoe and the more material the better. Avoid high heels and stick to a mid heel. There are two types of flat feet, flexible and rigid. Flexible feet are because the tendons and ligaments in the foot are not working properly. Rigid flat feet are because there is arthritis in the foot. 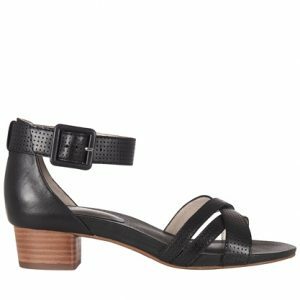 Rigid flat feet are very difficult to get into anything other than a low heel. Flexible feet actually do reasonably well in a high heel. People with flat feet also tend to be fairly mobile and therefore have a tendency to develop bunions. 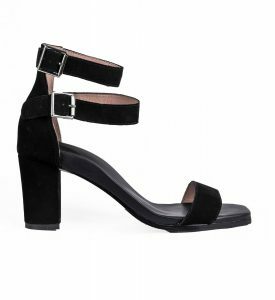 There pointed shoes are problematic and a round toe shoe or and open toe shoe that has lots of material in the upper is a better. 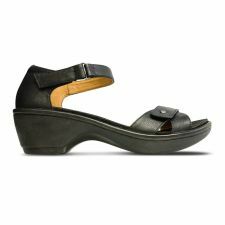 A block heel or wedge will help to support the arch. If you have wobbly ankles or a tendency to roll your ankles, this is usually due to the fact that you have weak or torn ligaments on the outside of the ankle. This can cause pain or repeatedly going over on the ankle. Long term this can develop wear and tear of the ankle joint and in some cases arthritis within the ankle. A block heel or a broader wedge will help you balance better so that you are not forcing the weight forward onto the ball of the foot and teetering on your tip toes. Weak ankles can often be the reason women have difficulties with their balance. . As you force yourself onto your tiptoes, this means that the ligaments have to work much harder to stabilise your ankle. A broad heel helps you to take the weight back onto the back of your foot and let the tendons and ligaments around the ankle work more effectively. Tight calf muscle and/or tendon can be very painful and can lead to chronic tendon issues that can cause pain both under and at the back of the heel. When your calf becomes tight from repeated heel wearing it can lead to chronic problems in the feet. The first thing to do is to improve your heels top help with any pain in this area. A cushioned sole, particularly of the heel will help to absorb some of the forces and take the pressure off the sore point. ← Which Hiking Shoe Is Best For You?